Last summer, I featured here some pretty clothes for the girl courtesy of SM Kids Fashion. 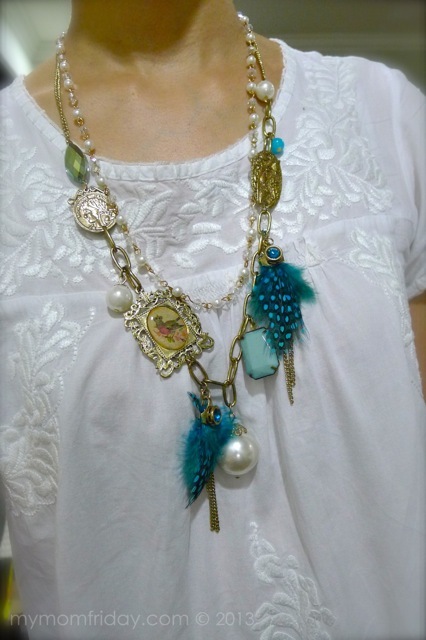 This time, it's all about accessories, and I scored this charming double-layered necklace with pearl beads, feather charms, and medallions. Aside from the eye-catching mix of accents, I love the vintage feel and cool combination of cream with gold and shades of blue. I promised the girl that we'll be shopping at SM Accessories, and her only request was to find something with a peacock. We can't find any. Before we gave up on her search, I spotted a scarf that looked like it had peacock feathers printed on it. Jackpot! 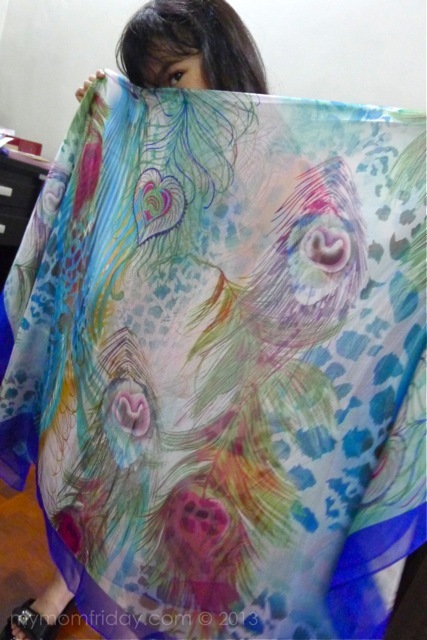 This sheer and brightly-colored scarf went home with us, and the girl quickly owned it. She said I can borrow it from her. Beautiful, isn't it? I forgot the exact prices for these accessories but I know each one is less than PhP400. We love shopping at SM! I recently featured Elin here on the blog, a new brand of wardrobe essentials that you can purchase here online. 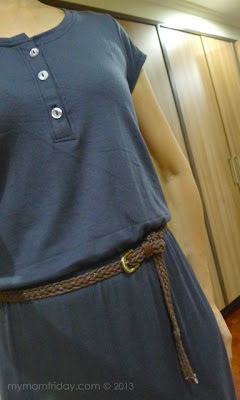 I've set my eyes on a few pieces from their pilot collection, and now I have this - the Dana dress in dark blue, at PhP1,450. I'd like to call it a T-shirt dress, with it's elastic waistband, and soft fluid material that falls perfectly down to my ankles. I will wear this with a braided belt and thong sandals. Pardon the wrinkles on the dress... I immediately tried it on and took photos as soon as I opened the package. Excited much?! =) It fits me perfectly! 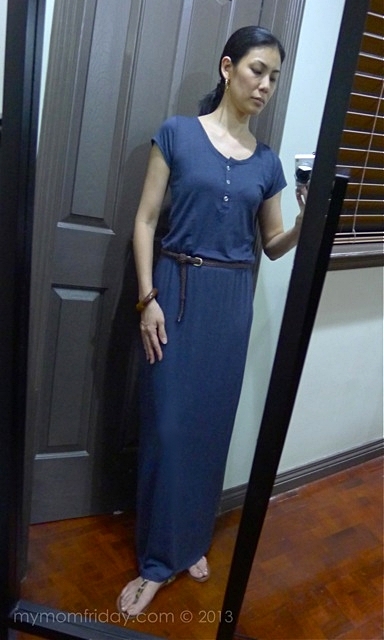 I am all for practical and comfort dressing, and I've been lucky to bring home some nice everyday pieces from Cotton On - two of which were the last pieces in their line, and a number of tops at marked down prices. 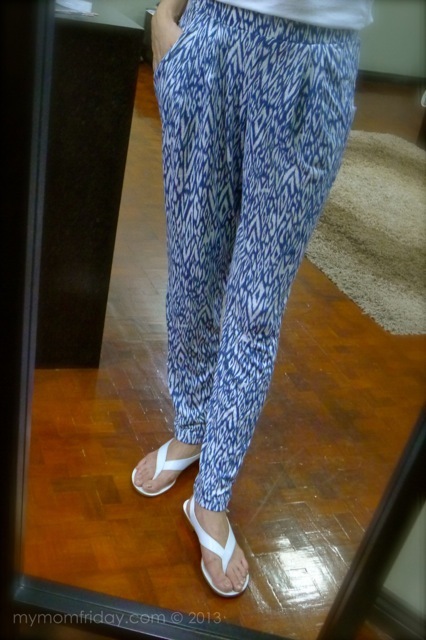 This most recent purchase is a modern harem pants in blue and white. I already have the exact same style in a different print (see above right photo), so I know it fits me, and it's comfortable to wear, just like pajamas. I was with my blogger friend Jackie when we found this tribal-print pants on display... it was the last piece (got a feeling I'm lucky with last-piece merchandise). To make the long story short, I ended up buying it - around PhP800 only. 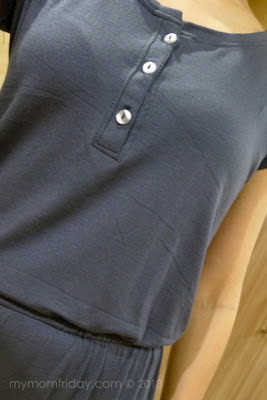 One of the newest online shops I discovered is Seek the Uniq, which carry the Carioca brand. 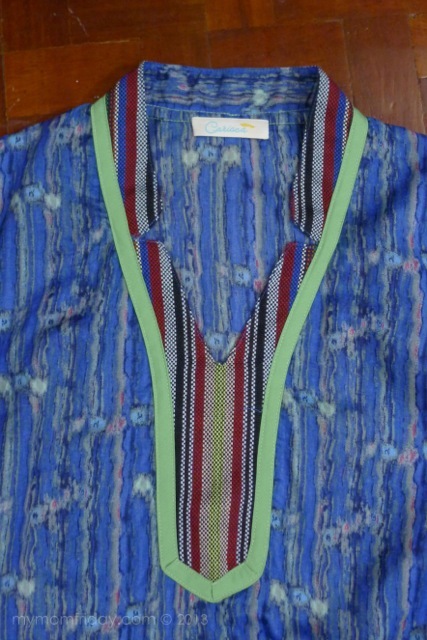 I especially like their printed tunics, which get sold out really fast. 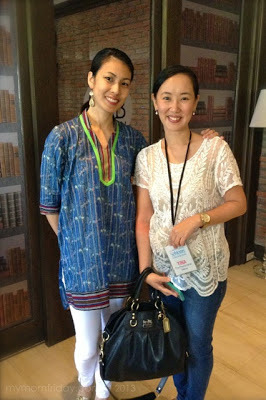 One time I was browsing through it, this blue printed top caught my eye - at PhP1,400. I wasted no time in ordering. 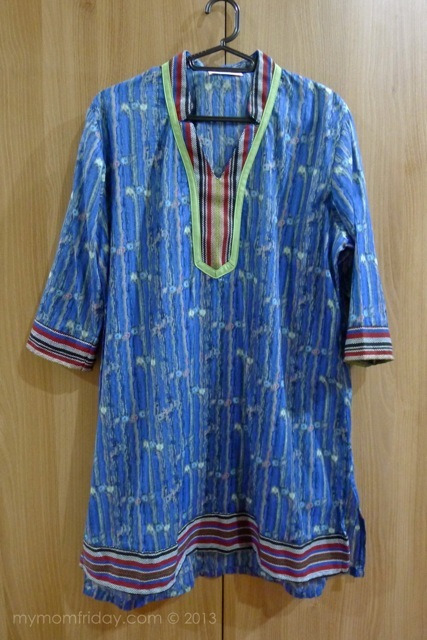 A bit a pricey for my standards, but I know I'll be wearing this for long time since I really like tunics-style tops. I love how cool and comfy this is, the fabric is very light and airy. 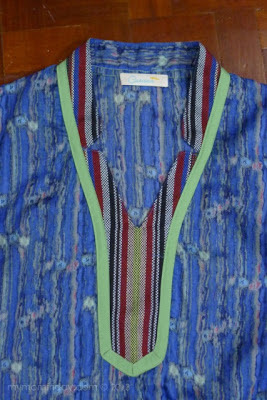 The native woven fabric trimmings on the Mandarin collar and hem add a unique and bold touch. I wore this a few weeks ago over white skinnies (incidentally, also from Cotton On) at our SoMoms general assembly, which I will share with you in the coming days. That's me with my friend and new SoMom, Tina.